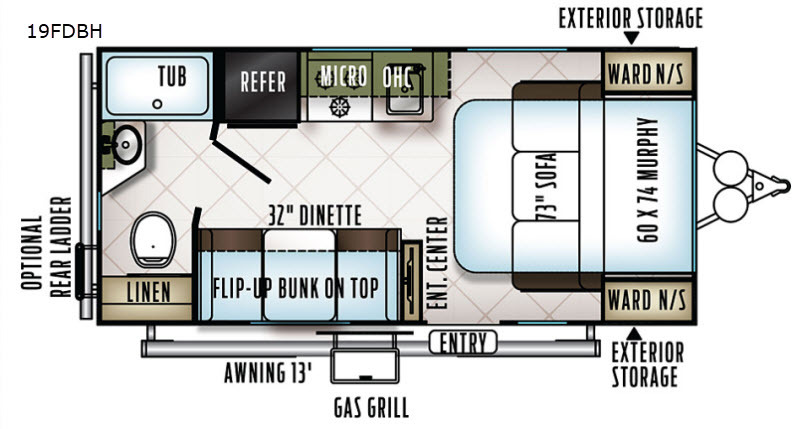 Depending upon the time that you enter this Flagstaff Micro Lite 19FDBH travel trailer will determine whether you see the 73" sofa or the 60"x74" Murphy Bed. Above the dinette there is a flip-up bunk, and the 32" dinette easily converts into additional sleeping space. 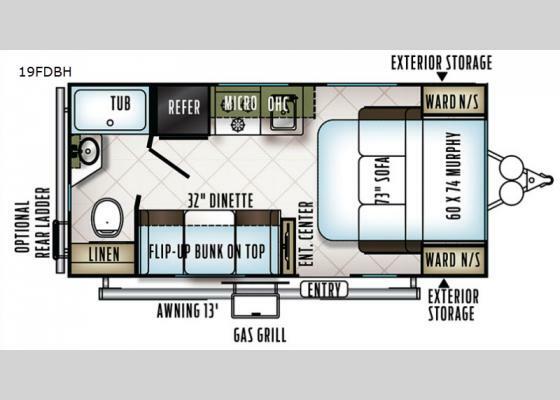 This model features a nice size rear bathroom so now you won't have to use the campground facilities. Your exterior camping gear should fit nicely in the exterior storage areas! The Standard Package H is available for this model and includes features such as a single door refrigerator, outside speakers, a heated mattress, and more!